It is probably very individual, but my summer is usually spent in business trips, when I am at home only during several days. At that moment I am desperately trying to solve all the issues, meet everybody, etc. The mobile phone is a good helper, but it is not a cure all. I have so many plans, but 24 hours are not enough, so I will not disclose any related information and will surprise you later on. Some of the articles will be of a philosophical nature. Now let's concentrate on this week's events. Next time I will tell about my trip to Germany and some insights into daily life. The main event to generate discussion last week was the decision of HTC not to update HTC Desire (last year's flagship) to Android 2.3. In the press release the lack of ROM was labelled as the rationale behind this controversial move. Engineers saw no point in squeezing Sense in, because there was not enough of memory. To my mind it sounded as pure marketing, because the market was already filled with unofficial firmware for Desire with Gingerbread support. Alternative firmware, for example, MIUI was readily available. The information about the reluctance of HTC to update its flagship model was spreading thick and fast. Negative reaction was everywhere – on Twitter, Facebook and related Internet forums. People in HTC could not anticipate such a backlash. The company reacted immediately. Top managers started discussing the issue as soon as it made a splash online. I cannot imagine any other manufacturer involving its CEO in solving a similar issue. The compromise adopted by HTC was influenced by consumers. The model will get an update to Android 2.3, but due to the lack of memory the capabilities of Sense will be limited. Now let's give the whole story a closer look. First of all it showed that the reaction of customers in social media can influence HTC. It is not unprecedented for the company and HTC is the only manufacturer, which promotes products through social media. This case underlines advantages and dangers of the approach. You can build a base of loyal customers, or scare some people away. Quick reaction on behalf of the company shows that HTC understands the situation pretty well, which is important for them. It has no rivals in terms of reacting to developments around the products. Secondly, the attention was drawn to official updates of Android. This question deserves special attention and is used as the prime counter argument against Android by those who do not support this system. They say you cannot be sure, which handset will get an official Android update. On the contrary Apple products get appropriate updates free of charge throughout 3 years. In fact an Apple model is ideal, because even older handsets can get new features (not always in full, but it is better than nothing anyway). Apple enjoys maximum loyalty and does not need to limit features of old models to sell the new ones. The demand is on its all time high. Some companies use the artificial limitation of their products all the time to encourage people buy new products to get hold of new software features (hardware largely remains the same, at least it is not upgraded dramatically). Regarding the HTC Desire many claim that the company wants to boost its sales by pushing people towards new offerings. It is not really true to life. HTC has no problems with sales this year. They even cannot supply enough handsets onto the market. There is no point in suspecting the company in ill dealing. My first reaction to the news was almost the same as I thought that we have marketing propaganda here. On second thought I understood it is not as simple as that. Let's look at it together. Who needs new firmware with fresh OS versions? Everybody benefits from them, but simple answers are usually not correct. Consumers do not represent a single group, so different people need various things. Surprisingly, the majority of phone owners do not care about software updates. It is true for 98% of people who buy mobile phones. The answer is purely psychological. People are accustomed to purchasing devices with preinstalled characteristics they approve of. They do not expect any improvement during the use, rather the opposite. Not many pick a phone eyeing future updates, so promises of companies to update weak products in future have no sense. People compare and choose from devices at the time of purchase and not in the hypothetical future period. For smartphones the status quo is different. Once again we have to thank Apple, which made it normal to update software through iTunes. The process is simple and hassle free. Even when you just have to press the key to update the software not everybody does that. Do you know why? These people are perfectly happy with the device and need no updates. Technically minded individuals believe it is unthinkable. How can you decline getting an update, which is likely to improve the stability of the products, fixes bugs and adds new features? How can you do that? You cannot be serious! For ordinary consumers there is nothing strange in this reluctance to update. If everything works well they see no reason in taking risks or making extra efforts. It is a serious issue for companies (including Apple, Microsoft and others) to make users go for the update. A good approach tested on Sony PSP is to associate the update with the release of new games. Initially the company wanted to fight with pirates, but the consequences were the same. Want to play a new game make an update. The same happened with Apple when the use of Epic Citadel required the latest iOS. It led to a string of updates when the users learnt they could not watch the demo on old devices. I think in future the practical necessity will drive users decision to update their OS or not. If the update is affected automatically without the involvement of consumers the latter will be unhappy. We want to be the lords of our devices. Technically savvy customers would like to get updates infinitely, but their percentage is limited. On the other hand they are well represented in social media and tend to be vocal. Companies will have to pay attention to them. This is the new order of the marketplace. The necessity to update phones will be understandable to more and more consumers. They will be making the update consciously and we are only in the beginning of the trip. Different companies will deal with the issue in due time. In 2010-2011 we have been already witnessing the trend. For example, Sony Ericsson views the long updates of Android software for their phones as a key strategy. Even the 2010 flagship Sony Ericsson X10 will get Android 2.3, though it cuts the sales of the current line-up. New models will have to be updated rather quickly. The company will also have to abandon the use of proprietary add-ons, which are complicated and expensive to integrate with the OS. For HTC, Samsung and Motorola, which also devise their own add-ons this tendency is problematic as well. The better this add-on to the standard UI is the more time and money will be required to integrate it with the OS. Delays will make the consumers grumble. They want to get updates as soon as Google releases them. Many believe that Google Nexus shows how fast this update should be. On the other hand the critics of slow updates ignore the fact that Google Nexus models are not numerous and Google can easily create updates for them. It is the only reason for their fast update. Put five slightly different handsets into the Nexus line-up and the update will slow down. We have a vicious circle here. Every company wants to be different, but it negatively influences the support of products in the future. First of all Google should deal with the problem. They have to offer transparent and clear mechanisms of their OS update. Google failed to do this, because they are trying to be faster than lightning and compete with iOS. Constant competition does not allow Google taking time and clarify the update issue for all manufacturers. It can be the long and winding road, but this could simplify the updates and servicing of future phones and tablets. On the contrary Google uses administrative solutions and in May 2011 it announced at Google I/O that partners will have to support phones with new firmware for at least 18 months after the manufacturing. New models will get updated Android versions to create the feeling of ongoing upgrading. It is only a feeling, as almost all devices get at least one update during the 1.5 year cycle before the support is discontinued. That is why this initiative must be met with some scepticism. The approach is interesting, because it is a purely administrative measure offered instead of a cutting edge technical solution. Nothing will happen until Google comes up with a homogenous system of OS updates to affect all possible add-ons. We cannot expect this during the next year, which is turning into a serious disadvantage of Android in its rivalry with iOS. If you compare robots with Windows Phone 7 then the balance will be in favor of Google, because Microsoft has to work hard if they want to catch up with Android models. Canadian RIM, owner of Blackberry, has reported the Q1 2011 financial results. Back on April 28 2011 the company decreased the forecast for sales and profit that immediately hit the company's stock price. Since early spring RIM has been under severe criticism for not being able to boost Blackberry sales and too few new models. The company retorts by saying that RIM is going through a transitional period as well as the whole market and one cannot validly assess the company's performance right now. At Blackberry World I heard this rhetoric from several RIM top managers and it seemed to me just an excuse. During a difficult transition it is very easy to not only lose the trust of investors but also the loyalty of users which is heated by interesting new products Blackberry fails to give them. I want to give you a few numbers that can help you understand the situation around RIM. The smartphone sales amounted to 13.2 million handsets while the forecast was 13.5-14.5 million handsets. The discrepancy between the expectations and the actual sales is so big that without new phones the company will not be able to increase sales. The postponement of the new Bold and the whole new family of products will not allow the company to recover for another two quarters at least. One of the two co-CEOs of the company Jim Balsillie said that in 2012 the company will go through hardships: the declining of sales in Q1 will continue in the second quarter while new products will be announced only in August. The company is expecting better results by the end of 2012 i.e. in a year. This is a sad picture – the Blackberry family is in a transitional period and the company is launching a new OS under index 7 and is also planning to present first devices under Linux OS QNX in early 2012. Today the company's first tablet Playbook already runs on it and it turned out to be much more popular than it had been expected - the company shipped about half a million of tablets while the most optimistic forecast was just four hundred thousand. Though we don't know how many of Playbooks were actually bought and how many have been returned. I think the first number is rather low while the second one is high. And this will not allow RIM to sustain the sales of Playbook in the second quarter. The company's reps did not answer me when I asked them to give me any numbers on the sales and I think this proves my point. In the same time software updates are being late for this tablet and this turns away both investors and users. This is a dark period of RIM's history and many analysts have decreased the company's rating by one point and once again we hear the rhetoric that the only right thing left for RIM to do is to sell the business tone of the major manufacturers. The problem is there aren't really any buyers. The company understands that the market is waiting for decisive actions but cannot think of anything better than lay-offs. The restructuring program is scheduled to start in Q2 and it will be officially announced when Q2 report is ready. Neither the number of lay-offs nor other austerity measures have been yet comprehensively laid out – the company probably does not want to upset the market for a time being. And all this proves that RIM is in big trouble. The company needs new products and needs them now to change the situation. Apple iPhone is becoming a bigger threat for the company everyday. What I like about Nokia of today is the way the company openly tells everyone what they do to self-destruct. Stephen Elop has given a comprehensive report in Business Week about what he did as the CEO. Below you'll find a link to the article. This article gives a lot of answers and for me it was especially interesting to read about how Maemo/Meego was destroyed. On June 21st the company will present the last device running on Maemo – only 92 thousand handsets will be produced and become the tombstone of this OS. This will be a very expensive funeral: in 2010 alone Nokia spent around 300 million euro on this OS not to mention the cost of PR and other expenditures. The total sum of investments into Meego/Maemo is over a billion euro. According to the article this is why the company could not carry Meego on – the development rate of new models was way too slow and this is also why the company chose the Microsoft platform – Nokia simply could not allow an own OS. And this is not just the journalist's opinion – a top manager of the company also confirms this statement. And I think this is either lies or incompetence. Maemo was Nokia's response to Apple iPhone. Nokia has been positioning Maemo devices as flagships and even Nokia N900 was considered to be only half way to an actual flagship and N900 went on sale to launch the Maemo support campaign. The company never planned to make their flagships popular and available in all the price ranges. Never. You cannot expect skyrocketing sales when you produce expensive devices. The Maemo's task was to compete with Apple iPhone but to create a dozen of phones to compete with just one is ridiculous. Anssi Vanjoki was behind the Maemo project and while he was in the company the project still had a chance to succeed. But with him gone Maemo/Meego was doomed. So it is clear that the number of Maemo/Meego devices has never been relevant and Nokia knew it. May be they just forgot to tell the new CEO about it but I doubt it. But anyway the chain of events only adds more questions to this story. So, on June 21st the very last Nokia on this OS will be released. The company has invested over a billion euro and this OS is interesting for other players. The company is not going to develop this platform anymore and the developers have already started leaving the company. 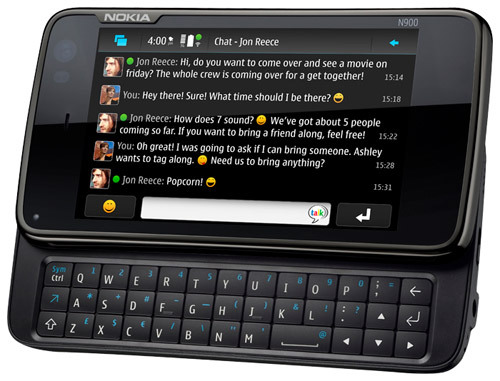 A few companies have addressed Nokia with offers to buy Maemo/Meego platform for further development. I could understand if Nokia refused to sell it to a direct competitor but it seems unreasonable to decline an offer of a major processor supplier who would only use it to produce platform kits (for minor manufacturers of phones and navigators). Imagine you have something worth several hundreds of millions euro. You can easily sell it, moreover, potential buyers would also like to buy the developers together with your platform whom you would lay off in two years anyway. From any point of the perspective of getting rid of a giant headache looks attractive. You don't just drop Meego but make money out of it (keep in mind that the investments are already gone and the OS is only promising new expenditures). I bet any manager on the planet would do the only right thing but not Stephen Elop – he begs to differ. He continues to fire Nokia employees who were connected to this project or just lets them leave on their own volition. This means that in just 6-8 months the key employees will be gone and the potential buyer of the OS will have to invest large sums to revive Maemo/Meego. The time factor is crucial in this case. Everything Nokia has now in this OS will be depreciating in the next 6-8 months. So the company will have to sell it much cheaper as the buyer will not be able to start with the OS right away. What happened was: Stephen Elop deliberately shut down Maemo/Meego to eliminate a potential competitor of Apple and Microsoft. All Elop's actions show that he has prohibited such developments inside Nokia and has done everything to prevent anyone from acquiring it outside Nokia. I hate conspiracy theories but the facts I have speak for themselves – it is a destruction of a potential competitor to the existing operating systems. That's it for now. I wish you a productive week and a nice week-end. I want to thank you for taking interest in the Spillikins this flatters me and tells me I should go on. Good luck!